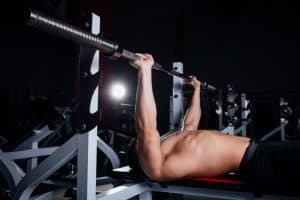 A weight bench is a great addition to any home gym, mostly because they allow you to perform a variety of exercises in the comfort of your home, and without the inconvenient trips to the gym. 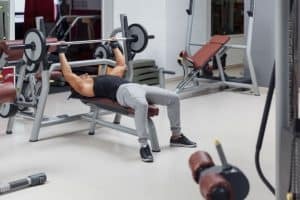 Shopping for a good weight bench can be challenging owing to the plethora of options available, but the Universal UB300 Adjustable Bench by Nautilus comes out a clear winner for several reasons starting with its adjustable design that allows you to perform a variety of exercises. 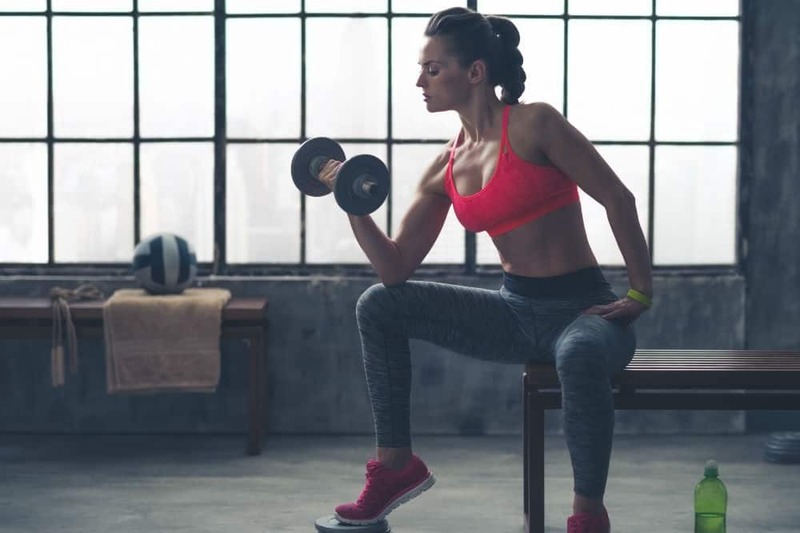 Nautilus has been helping people reach their fitness goals for over 40 years, and today is a company that consists of several leading cardio brands including Bowflex, Schwinn, Universal, and Octane Fitness. 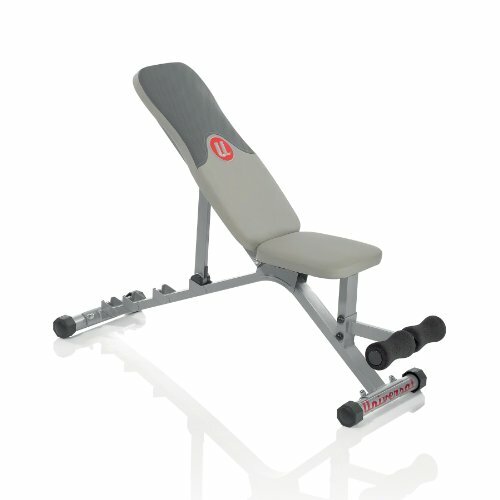 Products from the Nautilus stable are built to last and offer top notch performance for any fitness level, and the Universal UB300 Adjustable Bench is no different. The Universal UB300 Adjustable Bench, just as the name would suggest, is an adjustable weight bench that allows you to perform exercises in five different positions ranging from a 10-degree decline to a 45-degree incline. It is designed to work out the entire core and upper body muscles, and boasts a rather compact footprint of just 17 x 25 x 51 inches (W x H x D), allowing it to be placed easily in tight spaces. The Universal UB300 weight bench is a few steps ahead of its predecessor, the Universal UB200 Utility Bench, because of its adjustable design and onsite foam rollers for optimal safety. The Universal UB300 weight bench is a great choice for anyone looking to perform a variety of exercises in the comfort of their home, without breaking the bank or compromising on quality. Unlike cheap weight benches, the Universal UB300 weight bench is not only comfortable to use regardless of your workout position, but is safe to use thanks to its contoured shape and onsite foam rollers. 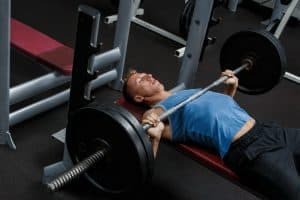 One of the pitfalls of most weight benches is their bulky design that restricts them from being moved around freely or fitting into tight spaces. But this is an area where the Universal UB300 takes home the gold given that it weighs just 33.3 lbs when fully assembled. It is also fitted with plastic end caps on its stable base, making it easy to move across rooms without damaging the floor. 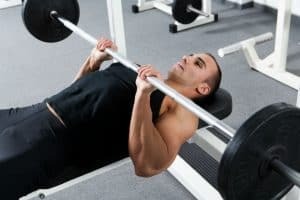 In addition to the exercises mentioned above, the Universal UB300 weight bench with its back support set to its decline position offers an excellent way to perform decline bench presses for lower chest development or target your abs with decline crunches and sit-ups. The Universal UB300 Weight Bench comes with everything you need to kickstart your exercise regime, but you will have to put in a little effort to put it together. Included in the package is the spine assembly, roller pad, roller tube, roller end cap, front stabilizer, leg hold down assembly, seat back assembly, rear stabilizer, seat and adjustable arm assembly. You also get the tools and a detailed instruction manual to get the job done right with ease including wrenches, washers and bolts. Five position settings – the backrest of the Universal UB300 weight bench can be adjusted between 10 and 45-degree angles, allowing you to perform a variety of exercises for your upper body and core. Foam rollers – the fixed leg base of the bench is equipped with 8” foam rollers to keep your legs in place for top notch safety. 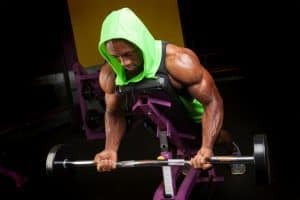 Lightweight – tipping the scales at just 33.3 lbs, the bench is lightweight compared to most products in its segment, making it easy to move around. Weight capacity – one of the noteworthy features of the Universal UB300 weight bench its robust steel frame, which gives it the strength to handle up to 250 lbs user weight and a combined user weight and lift load of 430 lbs. Stabilizer levelers – being fitted with these on its feet allows the weight bench to remain stable on all types of floors. Padded seat and backrest – the adjustable and contoured seat of the Universal UB300 adjustable weight bench is crafted from high quality vinyl and is plush padded, which is not only easy to clean, but a joy to exercise on even across longer periods. Easy assembly – the bench comes with all the necessary tools needed for assembly and instructions to help you with the task. Warranty – the Universal UB300 weight bench is backed by an impressive two-year warranty on the frame and 30 days on the upholstery. Even though the Universal UB300 weight bench arrives loaded with features, some often only seen in much higher priced models such as foam rollers, its onsite leg brace cannot be detached from the frame. 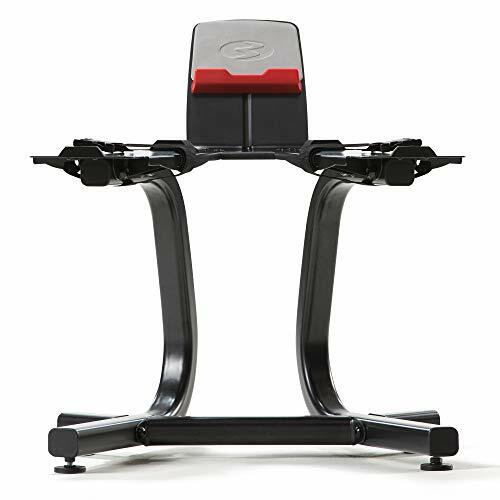 If you’d like a weight bench that comes with a removable leg brace, and one that can handle up to 300 lbs of user weight, the Bowflex SelectTech Adjustable Bench Series 3.1 may be a better option for you. 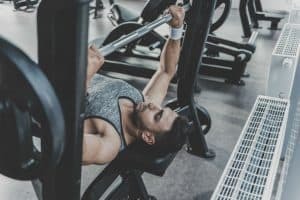 For a weight bench that allows you to perform a wide range of exercises, and one that doesn’t disappoint when it comes to performance and safety, the Universal UB300 is undoubtedly a great choice. It comes with all the right features such as a cushioned seat, eye catching design, high user weight capacity of 250 lbs, and is backed by a two-year manufacturer warranty on the frame to ensure it will serve you well for several years to come.